Child Immigration Issue: if feds ask, should Gov. Chafee allow immigrant children to be housed in RI? 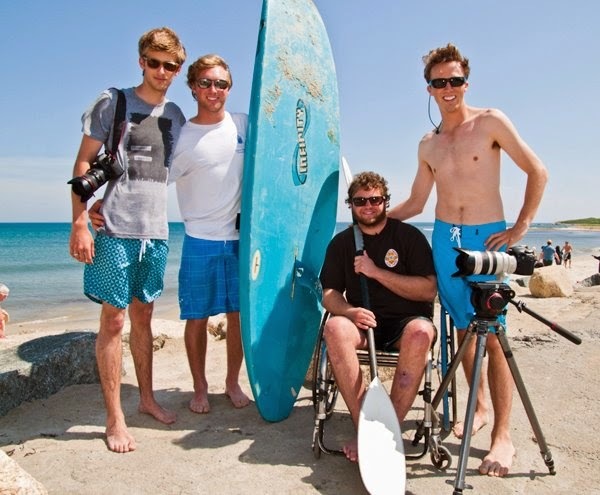 In the spring of 2012, four best friends drove from Rhode Island across the country in search of adaptive sports for individuals with physical disabilities, and lived to tell the story in a feature documentary film. From rehabilitation patients to Paralympic athletes, their cameras captured the reality of broken boundaries and common goals among all who are active. They went rock climbing with the blind, played soccer with quadriplegics, and swam with those with muscular dystrophy. Through their journey, they learned that sports really are the great equalizer, unifying people of all abilities on a level playing field. 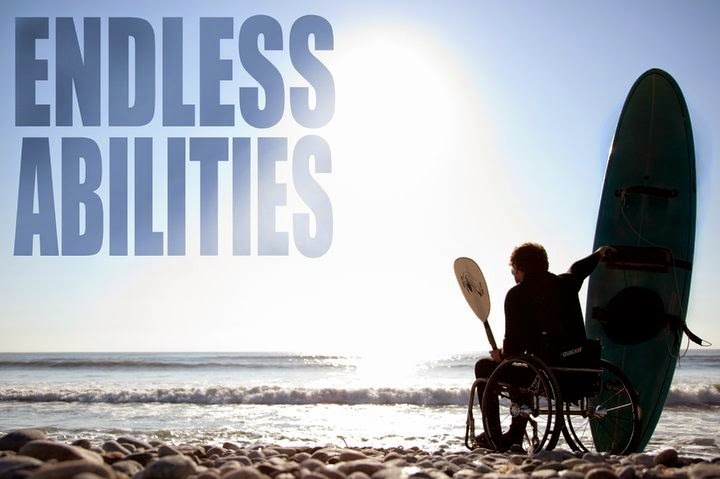 Rhode Island PBS is pleased to present the television debut of Endless Abilities on Thursday, August 7 at 9:30 p.m. Be sure to tune in and watch the remarkable story of their adventure to build understanding, bridge worlds, and change lives. Because these needs never take a vacation! 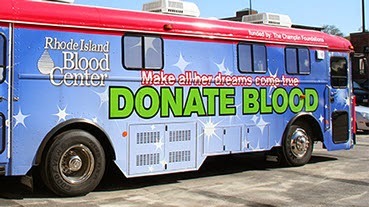 Rhode Island PBS, the Rhode Island Blood Center, and the Rhode Island Community Food Bank are proud to partner to create this special summertime giving opportunity to enable us all to better serve our communities. With two ways to give, please come donate a pint of blood and bring a non-perishable food item. And even if you can’t give blood, your food donation is most welcome! In 2014, the Rhode Island Blood Center celebrates 35 years of supplying hospitals and patients in Rhode Island and nearby Massachusetts and Connecticut with lifesaving blood components. Over the past 35 years, much has changed in blood banking and transfusion medicine, but the fundamental concept of volunteer blood donors providing the gift of life for patients in need is as important as ever. 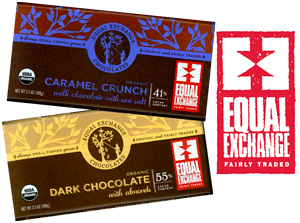 Besides feeling great about your donations on August 27, you’ll also receive organic, fair trade chocolate courtesy of the local Equal Exchange Cooperative. We appreciate and welcome participation by employees of local establishments in the Cranston Business Park and in the greater Dupont Drive area, and encourage you to promote this event to your patrons. Please contact us for a simple 8.5" x 11" paper poster to display in your business. Thank you! because these needs never take a vacation. • Minimum weight for donors 17 years and older is 110 lbs. Minimum weight for 16 year olds is 130 lbs. Join us for "team poster night" with the Pawtucket Red Sox and Rhode Island PBS at McCoy Stadium on Friday, August 22. Each child receives a team poster and enjoys a pre-game autograph session on the field with the players. This special "thank you" event for Rhode Island PBS members also includes pre-game barbecue, plus game tickets for two children. 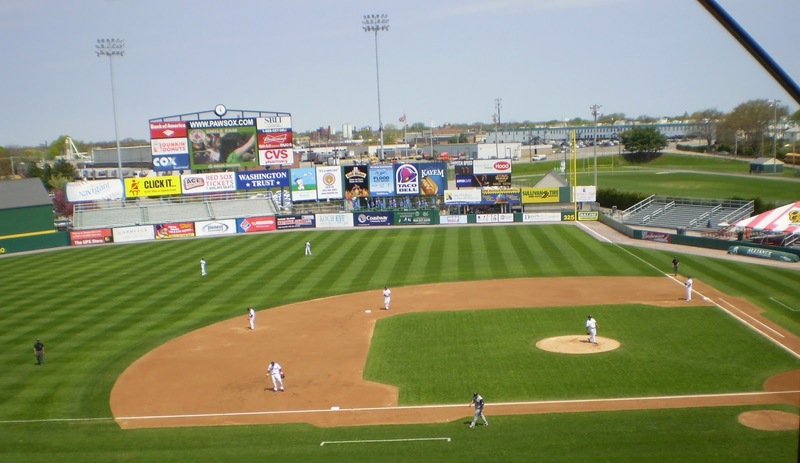 Parents and guests can get their tickets through the PawSox. The barbecue includes all-you-can-eat burgers, hot dogs, chicken, sides, drinks, and ice cream under the tent two hours before the game (5 p.m.). After dinner, head to your general admission seats to watch the PawSox take on Lehigh Valley at 7:05 p.m. This summertime family outing is courtesy of the Pawtucket Red Sox. Rhode Island PBS tickets are limited and are first come, first served and are reserved for Rhode Island PBS members only at the $75+ level. Not a member? Not a problem! Call us at 401-222-3636, extension 209, or visit our web site for more information and ticket details. Editor's Note: Sometimes, a news release comes across my desk that connects to Rhode Island PBS in unexpected ways. We at Rhode Island PBS are proud of our commitment to air local programming. In June, we commemorated D-Day with a series of documentaries about local World War II veterans who survived Normandy to share with us their moving memories and personal recollections. Now, for Independence Day, we will encore our own production "Bristol's 4th of July: A Celebration of History and Independence" on July 4 at 7:30 p.m.
On June 6, 1944, 19-year-old Richard Fazzio of Woonsocket served as the coxswain, or "captain" of a landing craft that went ashore in the first wave of the Normandy invasion. According to Fazzio, the 36 soldiers aboard took high casualties as they left the boat. Fazzio himself was also wounded when the ramp went down and exposed them to German fire. This July 4th, he will recapture that experience in the Bristol Parade--this time in far more peaceful circumstances. He will be the guest of honor aboard a restored landing craft, similar to the Higgins boat that he took ashore at Normandy in 1944. This 36-foot-long vessel will be mounted aboard a flatbed trailer to commemorate the invasion. "This year marks the 70th anniversary of the D-Day invasion," said Bill Sheridan, coordinator of this parade initiative. "We are losing our World War II veterans at an alarming rate, and we decided that we could not afford to wait for the 75th anniversary." The USS John F Kennedy Project of the Rhode Island Aviation Hall of Fame (RIAHOF) has teamed up with its sister non-profit, USS Saratoga Museum Foundation, to present this float. This LCVP (Landing Craft-Vehicles and Personnel) was a military surplus vessel used for several years by the Department of Environmental Management to ferry staff, equipment, and supplies to and from Prudence Island. After it was replaced by a newer boat, the LCVP languished for a number of years on the site of the Narragansett Bay National Estuarine Research Reserve on the island. Learning of its existence, leaders of the USS Saratoga Museum Foundation petitioned DEM to donate the no-longer-seaworthy vessel to the aircraft carrier project. This transfer was finally perfected in 2007, and the following summer Kyle Suttie led a group of Boy Scouts from North Kingstown Troop 5 over to Prudence Island. For his Eagle Scout service project, Suttie's team helped prepare the LCVP for the move to the mainland for restoration. Much of that restoration was performed at Chariho Career and Technical Center, under the direction of Richard Picard. Instructors and students repaired the hull, restored the diesel engine and rebuilt the pilot house. The final task of stripping, sanding and painting the hull fell to a team of Saratoga/JFK volunteers, led by John Gibbons of North Kingstown. The fruits of their labors will be on display on July 4th. The Saratoga Foundation worked for many years to bring the aircraft carrier of that name to Narragansett Bay. When the Navy decided in 2010 to scrap Saratoga, they made the John F. Kennedy available instead, and the RIAHOF stepped in to spearhead the effort to bring that ship to Rhode Island. RIAHOF plans to develop an exciting and financially self-sufficient family attraction, education and job training center, museum and memorial at Navy Pier 1 in Middletown, featuring the retired aircraft carrier John F Kennedy as the centerpiece. The US Navy designated RIAHOF as the “sole qualified candidate” for donation of the ship, and last month project leaders submitted a proposal to the office of the Secretary of the Navy requesting approval of a public-private partnership to enable the ship to be berthed at the northern of the two Navy piers in Coddington Cove. Locating this namesake legacy in Rhode Island would be most appropriate given President Kennedy’s close association with this State, including his wartime training at Melville, his marriage in Newport and the Summer White House years at Hammersmith Farm.